I love getting creative! I've just arrived home and could not wait to get back into my make up! I wanted to try something a little different, and this was my first attempt at it! It was pretty straight forward to do actually, and little products were used. Urban Decay Vol II Palette, using the colours Half Baked - The gold for the lids - and Twice Baked for the dots. I also used the Urban Decay Anniversary Palette and used the matte black Blackout to shade around my lids. I used Rimmel Exaggerate Liquid Eyeliner in black to go around the small brown dots to create the leopard print look. 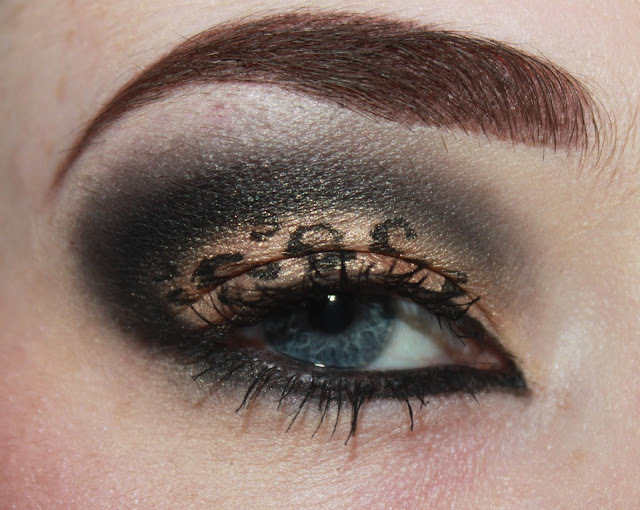 I also used this below my lower lashes to create the point in the inner corner of my eye. Handwritten eyeshadow by Mac for my brows. I used a base gold colour all over the lids. With a small brush I applied different sized brown dots over the gold. With a liquid eyeliner I went around the dots - not fully around the dots though as you want it to be as leopard-y as possible. Hannah this is amazing! You got some skills girl!! OMG! This is amazing! PLEASE come and do this for me? It looks so so amazing! 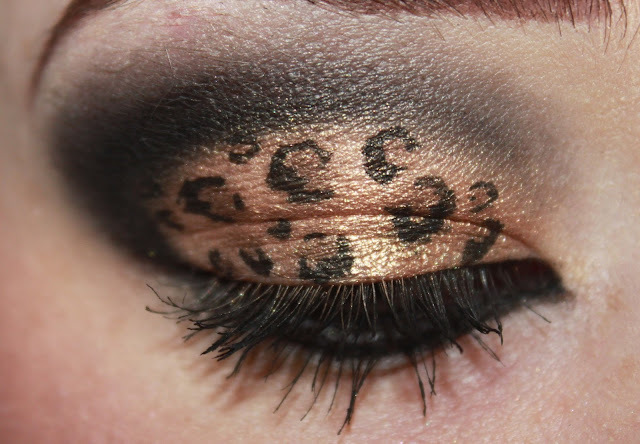 This is a fun way to do leopard print eyes because it's not too over the top. I love that it's encased in black but maybe you don't need it as thick underneath and it would be pretty much wearable! I'm a makeup artist so I love to see people going out and getting creative with their makeup!